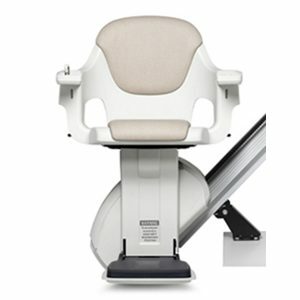 New Straight Stairlifts from just £1395! New straight stairlifts are available from Central Mobility with 2 years warranty from some of the industries leading manufacturers. These include Brooks, MediTek, Handicare and Platinum. We offer a wide range of new straight stairlifts to suit every budget. 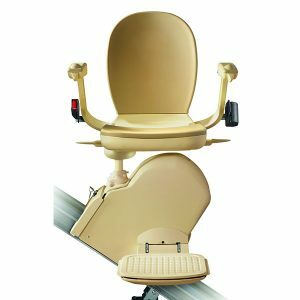 From our popular new Brooks straight stairlift, Handicare and Platinum new straight stairlifts, to our luxurious range of MediTek straight stairlifts. All of our new straight stairlifts are British made so you can rest assured you will receive the best in design and quality. 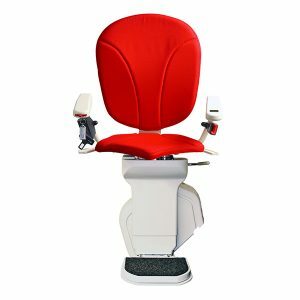 If you have a specific requirement then we will have a new straight stairlift from a leading manufacturer to suit your needs. 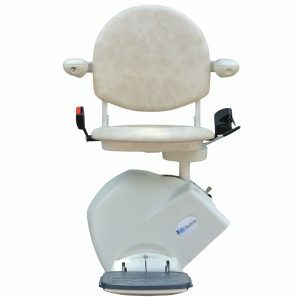 If you simply want a standard straight stairlift then these are available 'off the shelf' but if you prefer something a little different or have specific requirements, why not choose from our deluxe stairlift models and tailor your own stairlift to suit your individual taste, simply by selecting from their bespoke range of options. 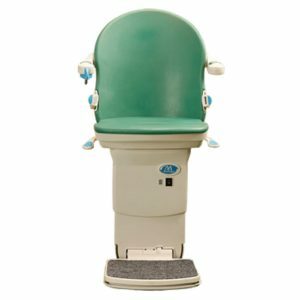 If you choose to buy one of our new Brooks 130 straight stairlifts then it will come with 2 years full warranty and a FREE 1st service at the end of the 1st year! "I found Central Mobility on the Internet and have not been disappointed. Wayne took the time to explain the requirements over the phone, and after a few pictures and measurements taken and sent we were able to decide on the best course of action. 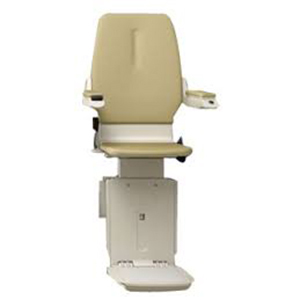 With this information we ordered a new Brooks Stairlift with a stand and perch seat at a very reasonable price, which was fitted within a week. Wayne was flexible, friendly and helpful all the way through the process and has now allowed my Father to access the whole of his house for the first time in 6 months. I have no hesitation in recommending central mobility for your needs, a friendly personal service at an affordable price"
"I contacted Central Mobility because I urgently needed a new straight Stairlift for my mum. The service was prompt and attention was paid to the needs of my mother. The experience was both pleasing and reassuring. I would recommend Central Mobility because they are prompt, friendly and reliable with an excellent follow-up service"